Dental implants are used to replace missing teeth or dentures. Unlike dentures and bridges, implants are attached to your jawbone. The implant looks and feels like your natural teeth, so you can eat your favorite foods again, smile with confidence and have the healthy beautiful smile you deserve. Candidates for dental implants need to have healthy gum tissue and adequate bone to support the implant. 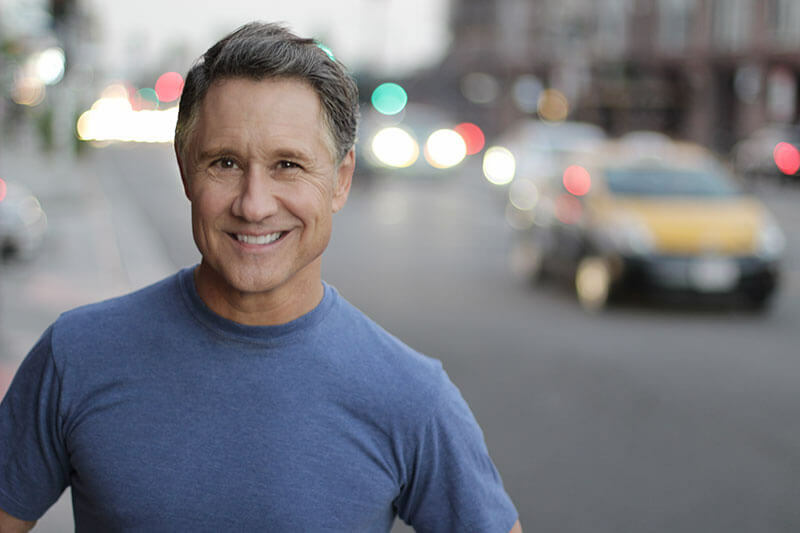 If you are interested in finding out if dental implants are a good alternative for you, please contact us to schedule a no-obligation appointment. Titanium Fixture: The titanium fixture is the first part to be embedded into the jawbone. It anchors the entire implant in place and serves as an artificial tooth root. Abutment: This piece is affixed to the titanium fixture, mimicking a cap on top of the fixture. Restoration: The restoration is another name for the crown that is placed on top of the abutment. It’s the finishing piece that will appear like a real tooth to the casual observer. Dr. Hoffman will work hard to ensure that your implant looks and feels real, from the shape to the shade of the restoration. Dental implants offer a plethora of benefits for patients like you with missing teeth. Dental implants can be cleaned the same way that you would clean your natural teeth, and osseointegration is the fusion process that is unique only to titanium instruments and human bone. 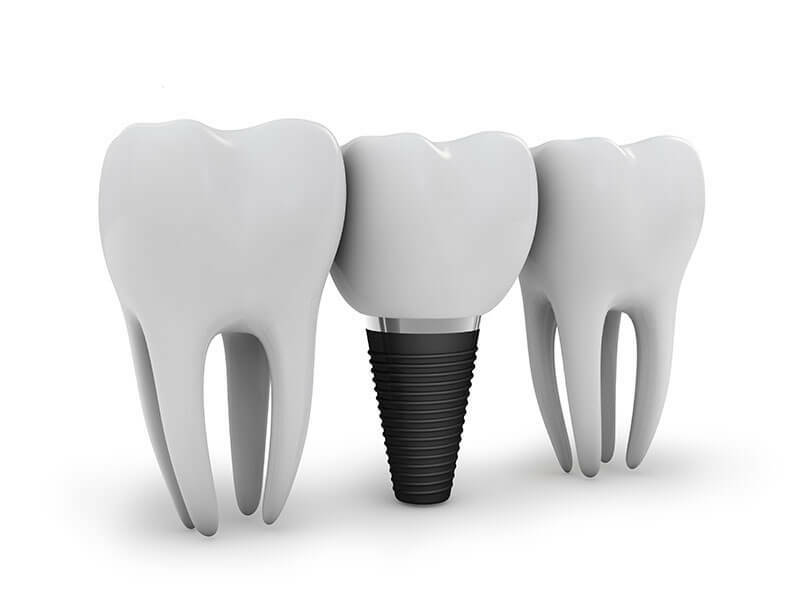 Through the combination of a stable fixture and abutment, and the craftsmanship of a customized crown, your dental implant will look just like your other teeth. If a patient is missing a full arch or close to a full arch of teeth, single dental implants may not be enough to cover it. That’s where implant-supported dentures come in: these unique dental devices combine both a denture and implant fixtures in order to restore your smile to it’s brilliant state. Qualifying for dental implants is not as arduous as you may think. It all starts with the patient’s needs: How many teeth are they missing? What type of dental implant will fit them best? Do they have the jawbone volume to support the implant(s)? Do they also have problems with tooth decay or gum disease? These questions and more are answered during your one-on-one consultation with Dr. Hoffman. The dental implant placement process takes place over multiple visits, with a general timeline of events that occur for the average implant patient. Every step will be completed here in-office, from the placement of the fixture, to the customized crown.